Test your memory and knowledge of the world! Players look at the front side of the card for 10 seconds, then answer a question on the back. How much will they remember? 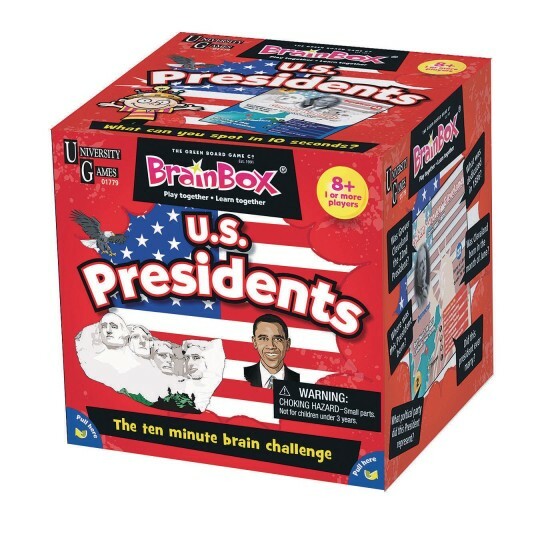 “Which Nobel Prize did Theodore Roosevelt win?” “Who was the first president to fly on Air Force One?” Packed with information and detailed drawings, the cards are hard to put down after only 10 seconds! Each box includes 54 sturdy cards, a timer and die. For 1 or more players.